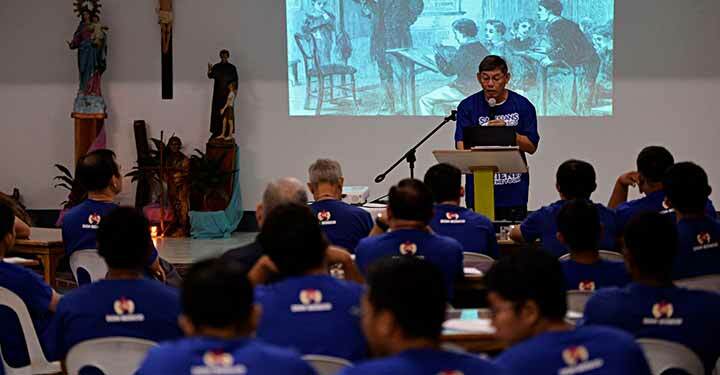 Talisay City, the Philippines, 7 November 2018 -- Around 65 Salesians coming from the islands of Negros, Panay, Samar and Mindanao together with the Novices and some postulants gathered for the annual celebration of the Provincial Assembly Days (PADs). This year, the event was held in Don Bosco Lawaan, Retreat House. It begun with the Holy Mass presided by Fr. Godofredo Atienza, SDB – Provincial superior. The focal activity this year was a Vocation Conference and Workshop with the theme “I Have Called You friends”. It was facilitated by Fr. Rosmon Miguelangelo Valenciano, SDB, FIS vocation in-charge. The conference opened with the review of the seven (7) Vocation Resolutions of 2014 followed by Fr. 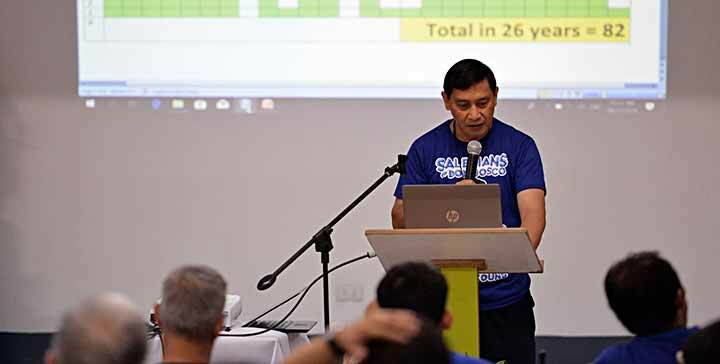 Philip Lazatin, SDB’s talk “Don Bosco Promoting Vocation.” Fr. Mel Racelis, SDB presented to the assembly the FIS vocation statistics. He illustrated the highs and lows in the number of recruits beginning from the foundation of the FIS province in 1992 up to the present. Asp. Vince Joseph Pedrola, a first year aspirant from Don Bosco Technical Institute – Victorias also shared his vocation story to the assembly. After lunch, each community presented their Vocation Plan while other confreres shared their personal insights on recruitment. Late in the afternoon, the discussion turned more serious as those who attended listened to the reading of the FIS Code of Personal and Professional Conduct. It was followed by an open forum. The day’s last input concluded with the solemn acceptance and pledge of commitment of each confrere to adhere to the practice of the Code. Attendees then offered the signed the document to the provincial while singing the hymn to Don Bosco. The celebration culminated with a dinner program in Don Bosco Formation Center highlighted with much singing, dancing, raffles and games and the good night talk of Fr. Provincial. 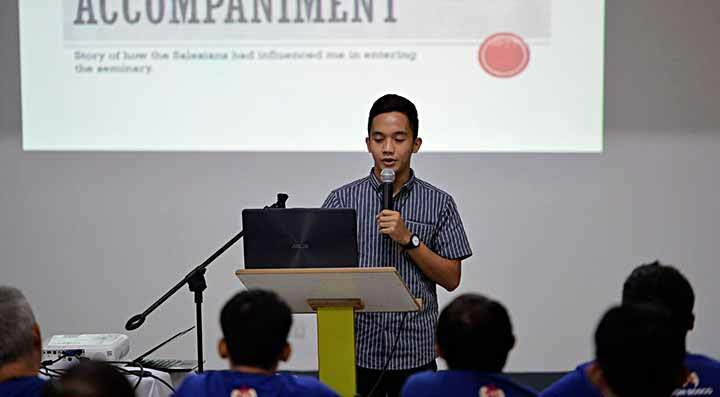 This year’s PADs was both formative and fruitful as confreres felt the strong need to exert more effort in promoting vocations while at the same time improving their personal and professional conduct in the ministry of education and evangelization.